Countless Adventures in Odyssey listeners have been impacted by the exceptional talent that brings the show to life for nearly 30 years. Actor Alan Young, voice of Jack Allen, is no exception. It has never been one of our favorite tasks to announce the passing of one of the great voice actors that make Adventures in Odyssey so great, but it is with great sadness that we must say farewell to Alan Young, voice of Jack Allen since 1994. Alan first appears as the friendly Jack Allen in Gone… This era marked an interesting time for Adventures in Odyssey as Hal Smith, voice of the original John Avery Whittaker, passed away in 1994. Alan Young was brought in, along with Townsend Coleman (voice of Jason Whittaker) to help fill the void that the show would now experience with Whit on an expedition to the Middle East and no return in sight. 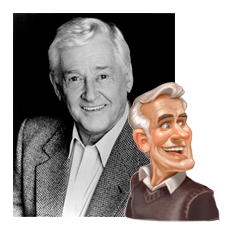 Alan Young made his last appearance on Adventures in Odyssey in Home Again, Part 2. In hindsight, his last episode of the show is very fitting as it puts perfect closure to his character. Alan Young appeared in a total of 91 Adventures in Odyssey episodes, best known for his role as Jack Allen. We are very thankful for Alan’s life and work, and especially for the positive influence he has had on the show’s listeners for all these years. Alan Young is best known elsewhere for his role as Wilbur Post on “Mister Ed.” In addition, you may remember him as Scrooge McDuck on “Duck Tales.” It is interesting to note that Alan Young stepped in for his last role as Scrooge McDuck once again in 2015 for the animated show “Mickey Mouse.” Alan was 96 when he passed away. We believe his role as Jack Allen on Adventures in Odyssey is his greatest role, though we are probably a little biased when we say that. We have been so blessed to journey with his character since 1994. Farewell, Alan Young. Thank you for bringing so much heart and warmth to Adventures in Odyssey. Alan is gone, but not forgotten. – Read a tribute to Alan Young posted by Animation Scoop. 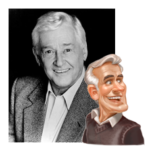 – In the past, Alan Young was interviewed twice for the Official Adventures in Odyssey Podcast. Listen to Podcast 38 or Podcast 173.